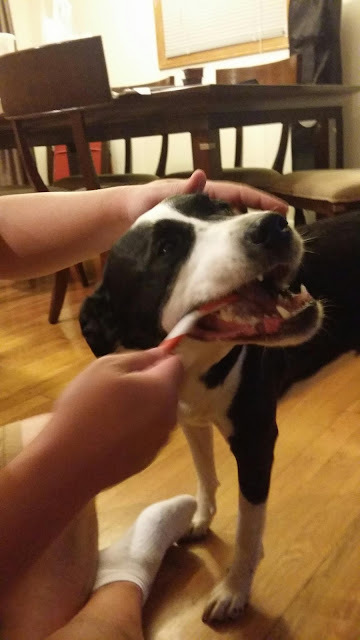 According to David, Penny's been getting her teeth brushed since she was a puppy, so she actually enjoys these little dental-hygiene sessions. She did seem to be radiating enthusiasm. Good for her. Wow. I've never seen a dog get their teeth brushed regularly--but every dog I've known sure could use it.